Want to get dental bonding in Anchorage? Are you looking for a quick and economical way to conceal imperfections in your teeth and improve the appearance of your smile? Dental bonding is a great option. This cosmetic dentistry service involves applying a tooth-colored resin material to the teeth to improve their shape, lengthen them or mask minor flaws like stains or chips. For great aesthetic results with bonding, it’s critical to work with a cosmetic dentist that has a keen eye for balance, proportion and symmetry. Dr. David Green has rejuvenated the smiles of many patients with dental bonding and other cosmetic dentistry services, and he would be happy to discuss your options with you during a consultation. After examining your smile and areas of concern, Dr. Green may determine that bonding or another cosmetic dentistry option is more likely to give you the results you want. 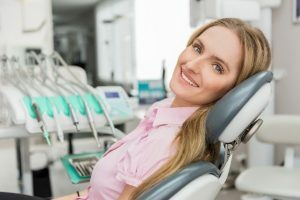 How Can Dental Bonding Improve My Smile? Dental bonding typically takes a single appointment. Treatment usually takes 30 minutes to an hour to complete. Dr. Green begins by applying a gentle phosphoric acid solution to the affected tooth or teeth to lightly etch and roughen the tooth surface. This helps the composite resin bonding material adhere. Then, Dr. Green applies the bonding material directly to the tooth, where he shapes and sculpts it as needed. This could involve using the bonding material to lengthen a short tooth or cover up a small space between the front teeth. Dr. Green uses a special light to help harden and set the bonding material. When he is finished, he polishes and buffs the bonded teeth for a smooth and shiny finish. The composite resin used in bonding treatment is carefully color matched to the natural teeth so it blends in seamlessly. There should be no visible distinction between natural tooth enamel and the bonded areas. Bonding can be performed as a standalone procedure or combined with another cosmetic dentistry service as part of a complete smile makeover. Some patients opt to have dental bonding performed after a teeth whitening treatment or the placement of a set of porcelain veneers. Bonding material is vulnerable to yellowing and staining from certain beverages and tobacco products. To maintain a natural tooth color, avoid coffee, tea, red wine and cigarettes. Brush and floss your bonded teeth daily and follow any other special instructions Dr. Green provides. Be careful to schedule exams and cleanings every six months to keep your mouth healthy and problem-free. For more information about the dental bonding process and how it can transform a dull smile into a dazzling one, contact Turnagain Dental. A member of our team can schedule you to meet with Dr. Green and discuss your cosmetic dentistry options. 1842 W. Northern Lights Blvd.